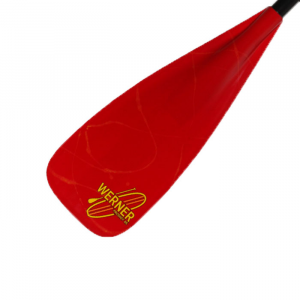 An all-around SUP paddle that's designed for smaller paddlers, kids or high-cadence paddling. Designed to withstand tough handling with a polycarbonate blade and fiberglass shaft. Fiberglass shaft is lightweight and tough. 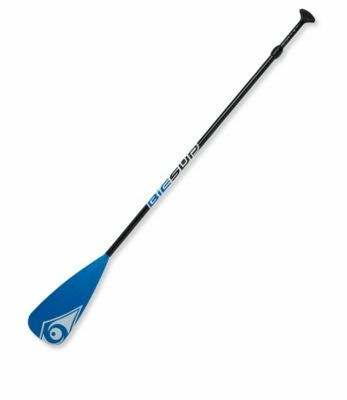 Small blade size for smaller riders, kids, surfing or for high-cadence paddling. Adustable from 59" to 75" to accommodate a wide range of paddler heights. Polycarbonate blade is angled at 10.5 degrees for excellent versatility. Durable T-grip fits comfortably in your hand. Imported.